"Wayne Hale, Jr." by Wayne Hale, Jr.
Norman Wayne Hale, Jr. is currently the Director of Human Spaceflight, Special Aerospace Services, LLP, of Boulder, Colorado since 2010. In that capacity he provides services in technical consulting, management coaching, technical analysis, safety processes, technical seminars, and advising on organizational culture change. This has also included service on mishap investigations including management decision making and organizational culture. Clientele includes aerospace, energy sector, and other high reliability organizations concerned with safety, management, culture change, and operations in high risk environments. Earned Bachelor of Science degree in Mechanical Engineering from Rice University, May 1976 and Master of Science degree in Mechanical Engineering from Purdue University, August 1978. Wayne’s 32 years of NASA service included every aspect of US human spaceflight. As a junior flight controller, he was assigned the Propulsion Systems section of JSC’s Flight Control Directorate prior to the first shuttle flight. In addition to developing procedures and flight rules, he served during real time operations for 15 early shuttle flight as a Propulsion Systems officer in Mission Control. 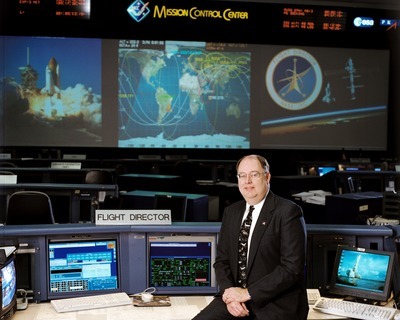 During this time, he served on the team to prototype the new Mission Control, moving from large mainframe computer driven to distributed workstation architecture where the users were responsible for discipline applications, displays and controls. After serving as a first line supervisor of flight controllers, Wayne was chosen to be a Space Shuttle Flight Director. He served in the Flight Director’s office for over 15 years with 40 space shuttle flight assignments, a record number for any NASA Flight Director. As the senior NASA Space Shuttle Flight Director, Wayne specialized in the ascent and entry phases of flight but also served as Lead Flight Director in overall charge for three separate flights. Following the Columbia Space Shuttle Accident in February 2003, Wayne was assigned as Deputy Program Manager for the Space Shuttle Program with the emphasis to return the space shuttle to safe flight as soon as practical. Wayne was assigned the task of changing the management culture of the US human space flight program to one more focused on safety and mission success. After serving as Deputy for just over two years, Wayne was promoted to Program Manager and focused on flying out the space shuttle program safely, within budget, and on schedule. As such, he was responsible for all aspects of the United States premier human space flight program with annual budgets exceeding $5 billion per year. In 2008, Wayne was promoted to Deputy Associate Administrator for Strategic Partnerships in the Space Operations Mission Directorate at NASA Headquarters. In that position, he worked domestically and internationally with current and potential partners, and provided critical support to the President’s Blue Ribbon commission on the future of space exploration, the “Augustine” Commission. Following that report Wayne developed the management plans and philosophy for NASA to encourage the development of a commercial human space launch industry to low earth orbit which became the Commercial Crew Program Office. Wayne Hale serves as a Member at Large on the NASA Advisory Council (a FACA organization) providing advice to the NASA Administrator and senior US leadership on space policy. Wayne Hale served on the FAA COMSTAC (Commercial Space Transportation Advisory Council) providing advice to the FAA Associate Administrator for Commercial Space from 2014 to 2017. Wayne Hale served on the National Academies of Science, Engineering, and Medicine study committee on the Real Time Monitoring for Offshore Oil and Gas Exploration and Production in 2014 and 2015. Wayne Hale serves in volunteer capacities with the American Institute of Aeronautics and Astronautics (AIAA), the NASA Alumni League (NAL), the Coalition for Deep Space Exploration (CDSE) and the Commercial Spaceflight Federation (CSF). 15 Space Shuttle Flights as Propulsion or Communications systems specialist from STS-1 in April 1981 through STS-61-C in January 1986. Mission Management Team Chairman for STS-114/ISS LF1 in July 2005, the return to flight mission following the loss of Columbia.